I always say I’m not a foodie, but I did two dishes this week that I thought were worth sharing. I don’t slavishly follow recipes, I find them to be suggestions. Most of the time it works well. The first is a squash casserole. I was craving anything with squash or pumpkin, and sweets. I looked around the web, and I decided to approximate a pumpkin pie recipe. All measurements are approximate. I never worry about amounts too much. I thawed a two cups of squash, added 1/4 c. molasses, 1/4 c. brown sugar, 1/4 c. w.w. flour, 1/2 cup soaked 9 grain cereal, 1/2 a can of evaporated milk, 1 t. of cinnamon, 1 t. of chinese 5 season spice, a sprinkle of nutmeg, salt, and ginger and 2 eggs. Oh, I also threw in some pumpkin seeds and some pecans. I mixed and baked at 350 until it looked and smelled good. Hopefully I’ll be able to add a picture later, I emailed it to myself twice, and it still isn’t showing up. It isn’t very pretty anyway, just tasty. 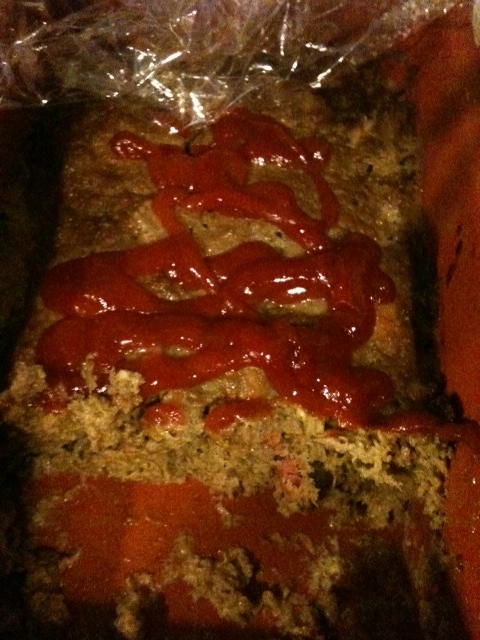 Then I wanted to make a healthier meatloaf. I blended three kale leaves with a hearty splash of the leftover evaporated milk. In a bowl, I added a scant 1/4 c. of wheat bran, two slices of whole wheat bread, some steak seasoning, ketchup, a-1 sauce and Worcestshire, 1 egg and the hamburger, and the contents of the blender. It did have a green hue, but you really couldn’t taste the kale. healthy eating just gets easier and easier. I don’t mean for this to turn into a “foodie” blog, but when I discover something great, I have to share it. The latest is squash. Any squash can just be pricked and put in the oven with your chicken, baked potatoes, sweet potatoes, or bread. I haven’t tried it for less than an hour, but I did have a large butternut in for 2 hours because of the chicken, and apparently over cooking only makes them better. The skin falls off, the flavor and texture are AMAZING. What could be easier? Scooping out the seeds and getting the skin off becomes cake, and the cooking is so easy. One big butternut is probably three meals worth of squash, depending on your family size.